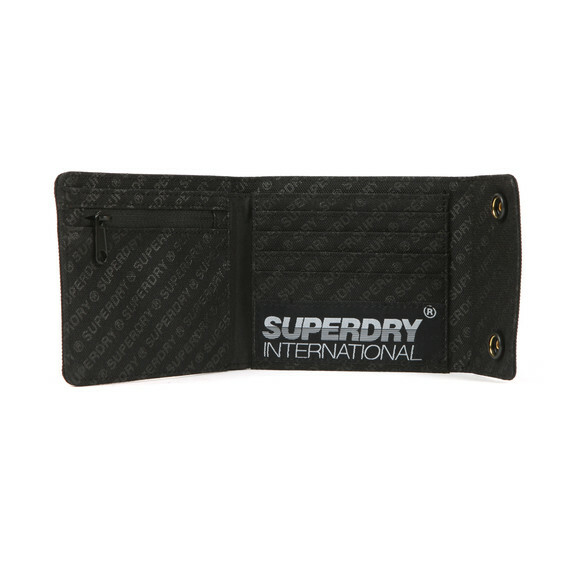 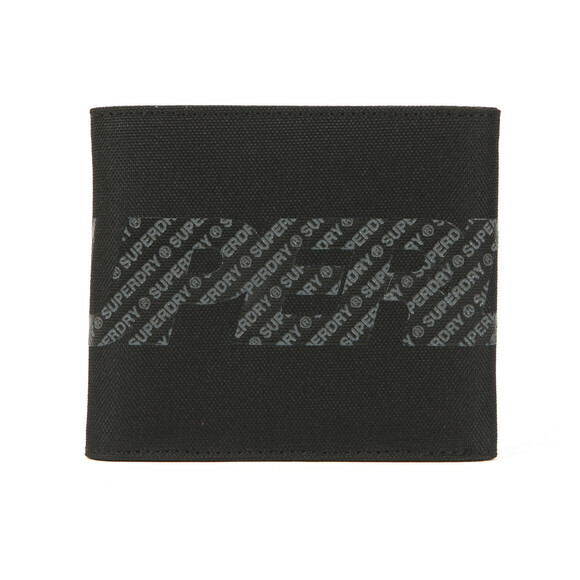 Superdry Super Boy Wallet in Black. Designed with a wrap around Superdry branding and popper opening. 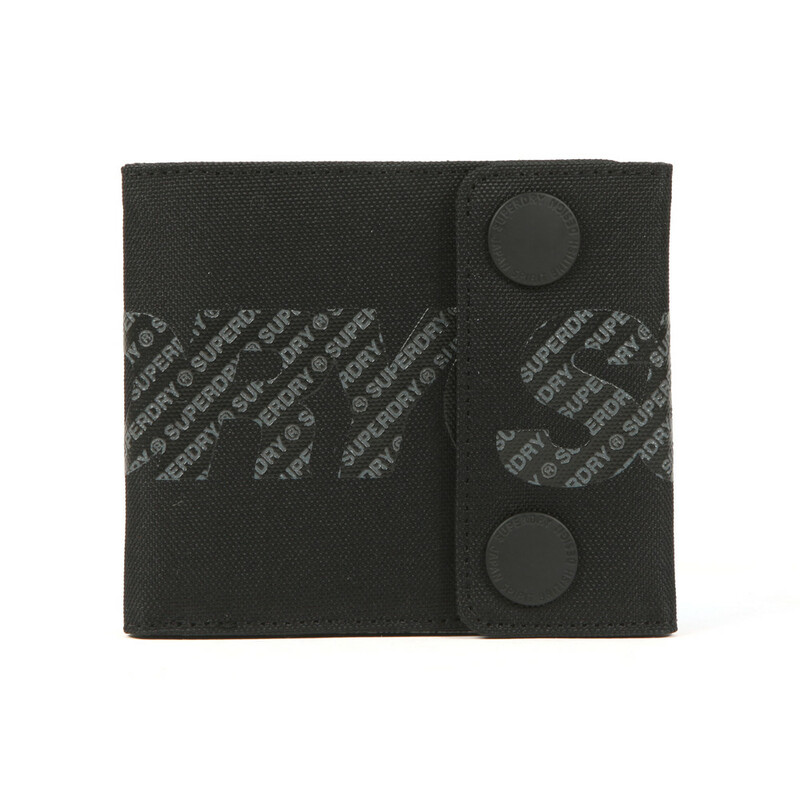 The interior has four card slots and a small zip coin pocket.